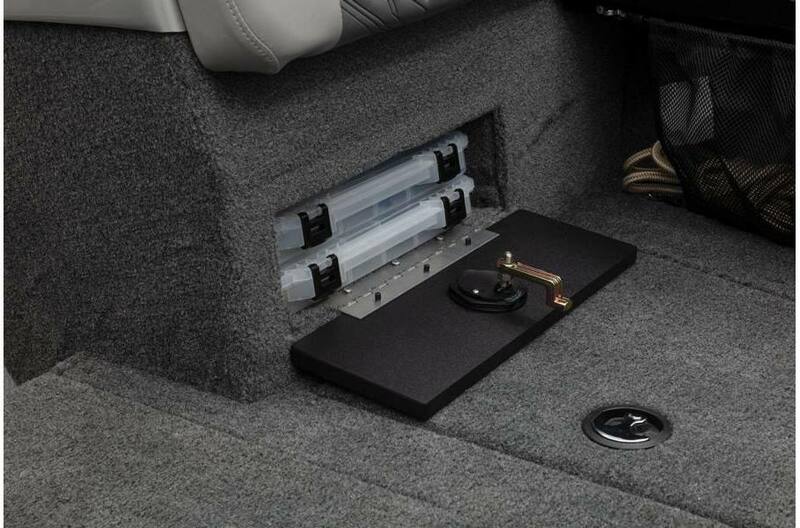 Added Options: Rope Ratchet Cover & Spare Tire Kit. 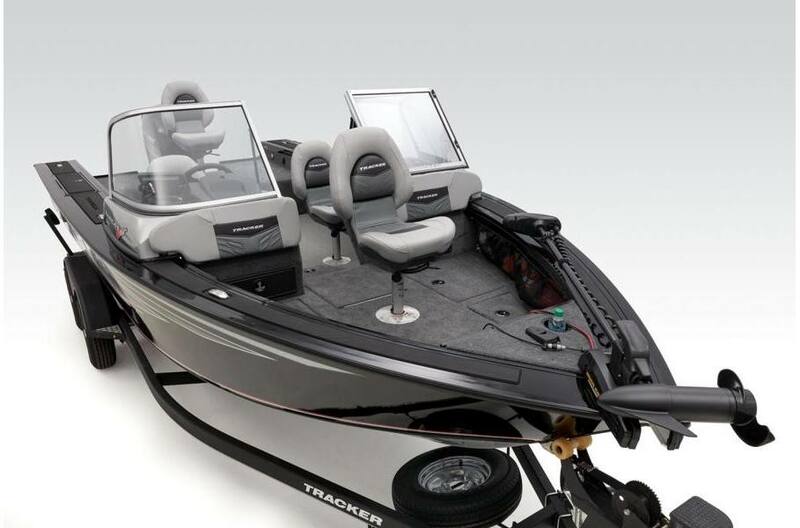 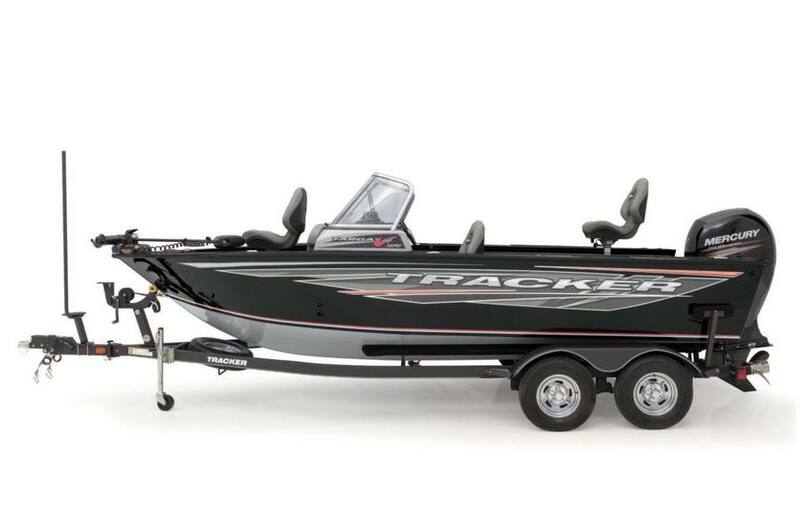 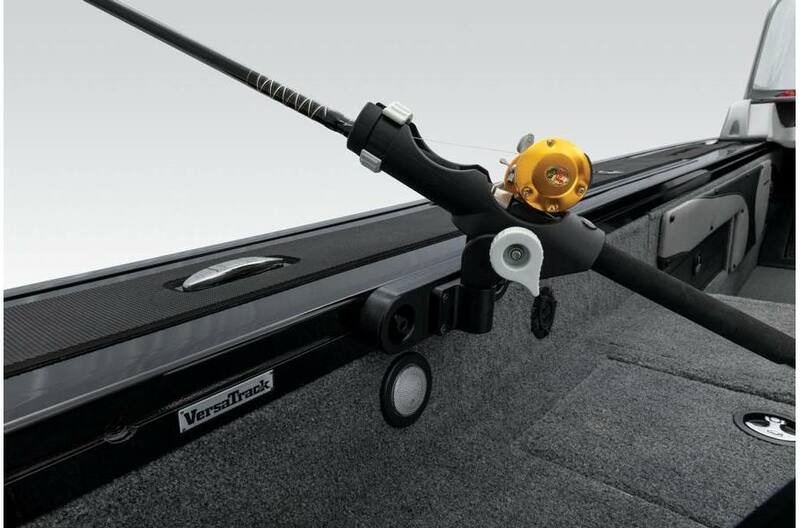 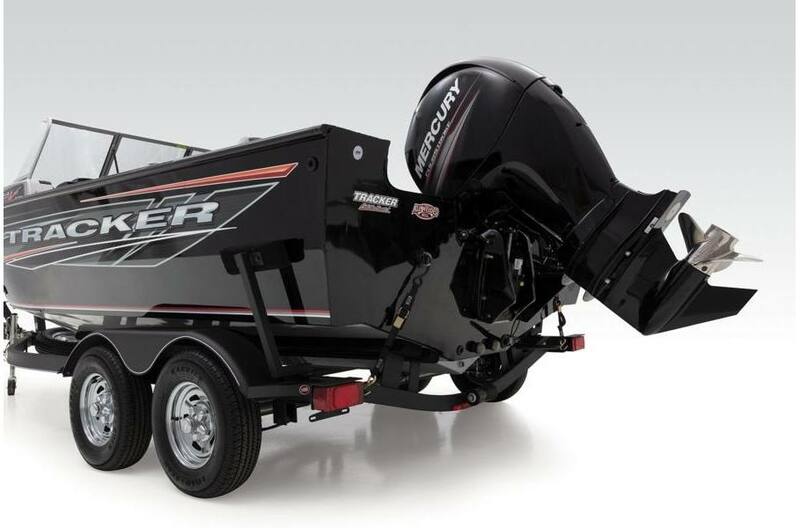 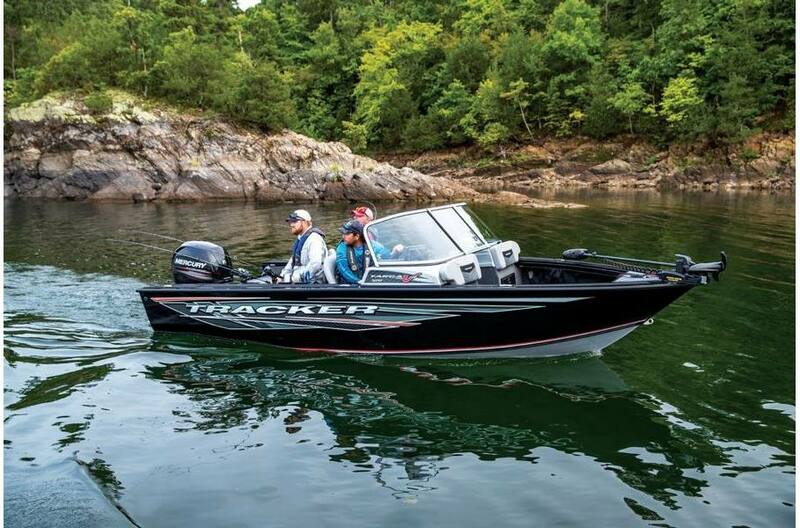 The TRACKER® Targa™ V-19 WT maximizes fishability and keeps you comfortable even in rough conditions. 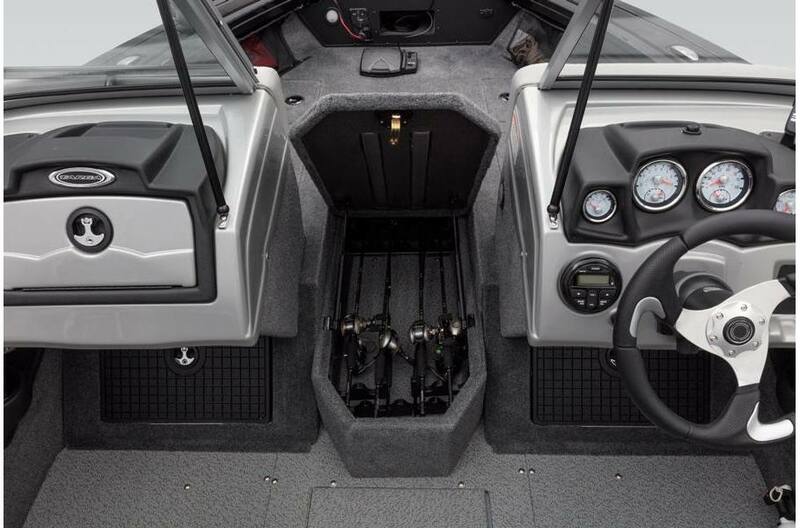 It's built from extra-thick, all-welded, .125 marine-grade 5052 aluminum for a lifetime of rugged durability. 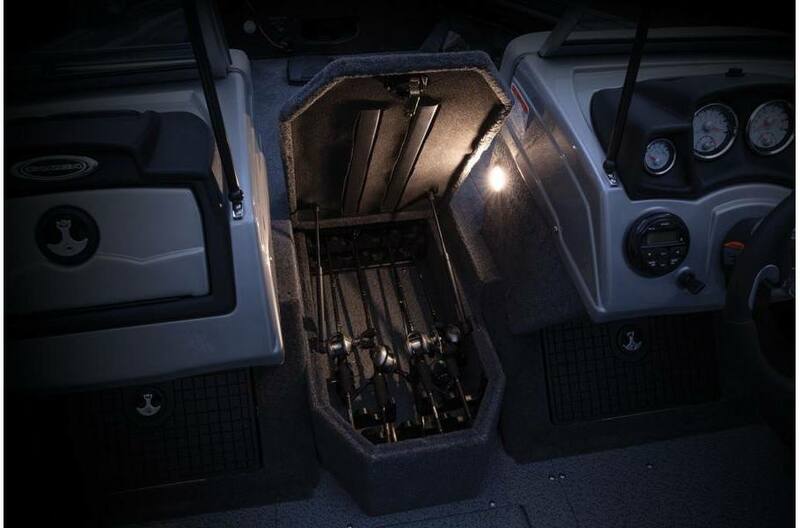 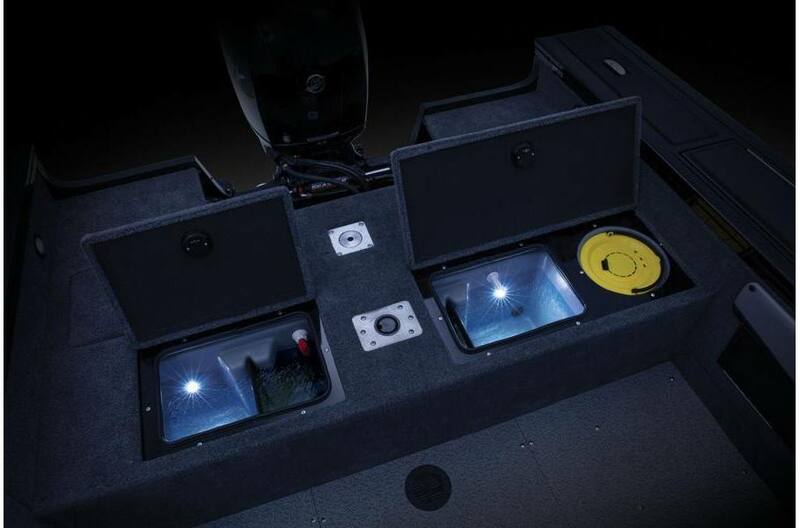 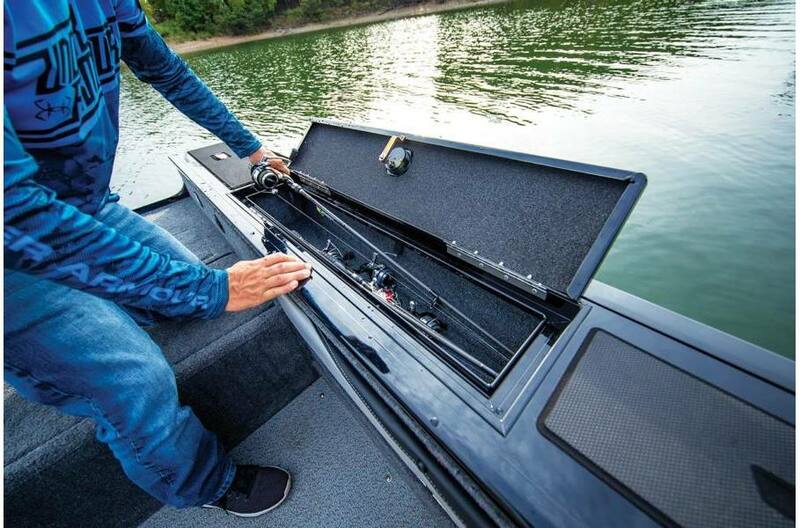 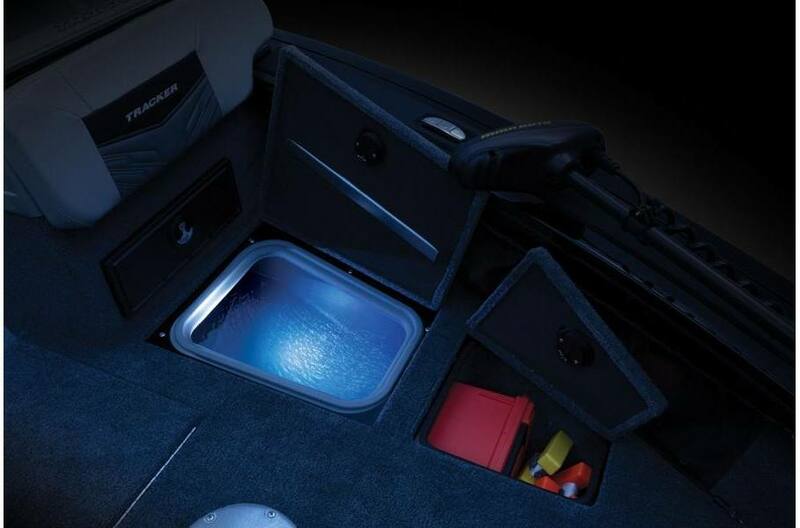 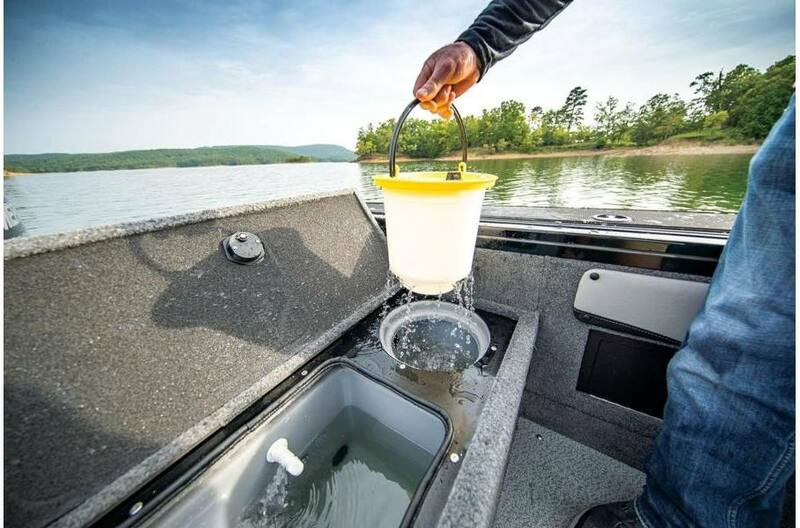 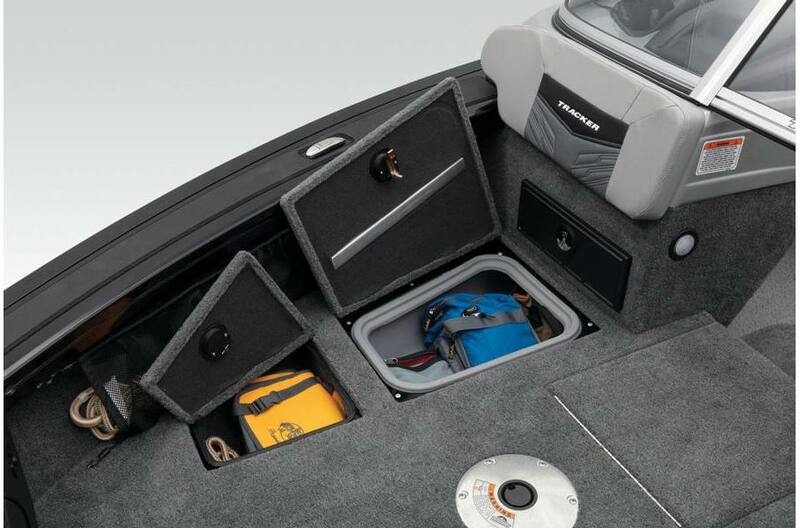 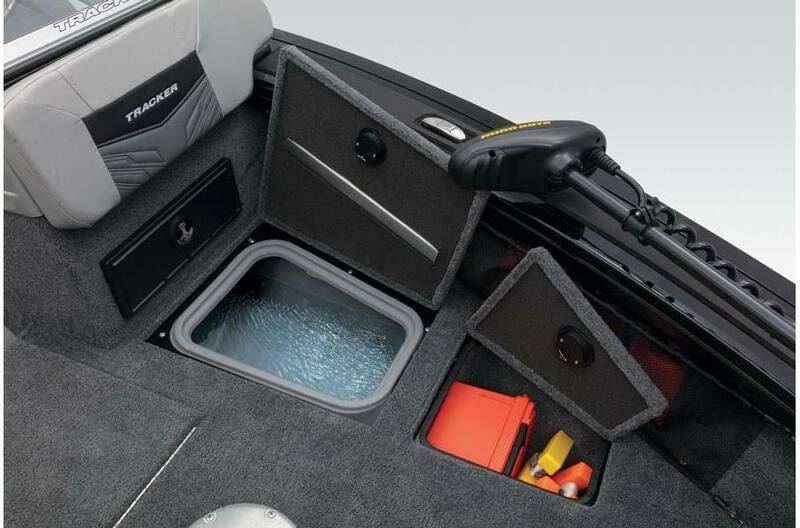 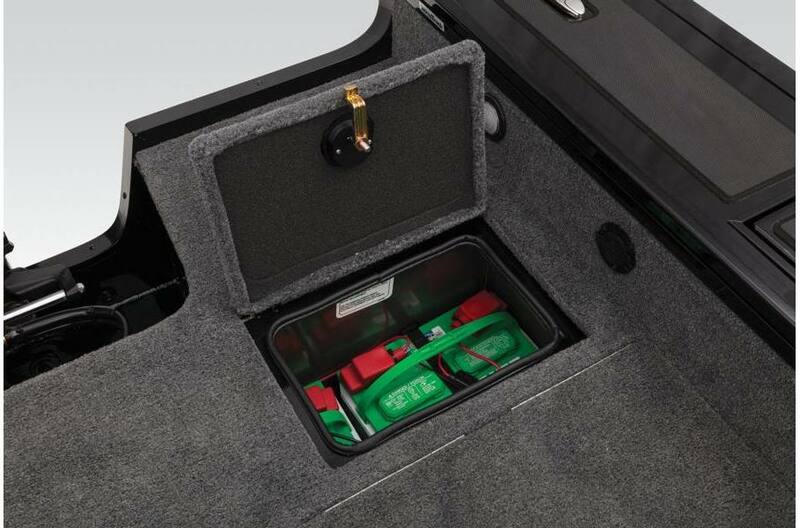 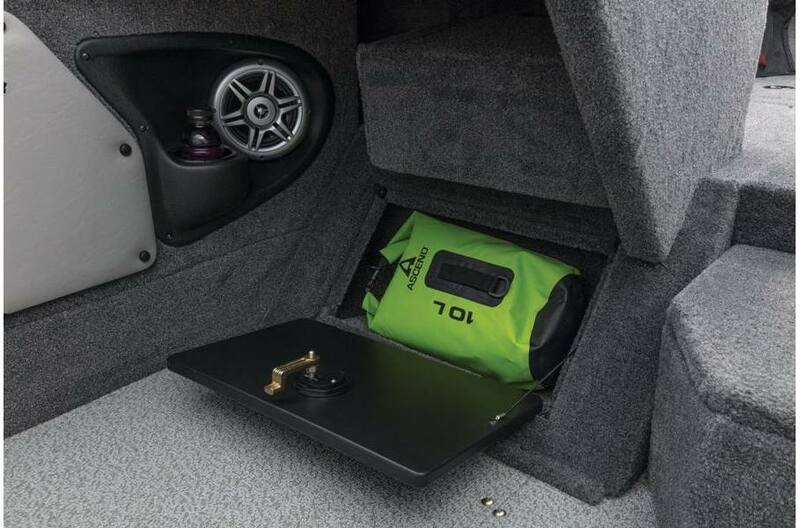 And it's designed with maximum storage efficiency, with 3 boxes for rods up to 8'—in each gunnel and in the large, coffin-shaped center rod box with contoured organizers. 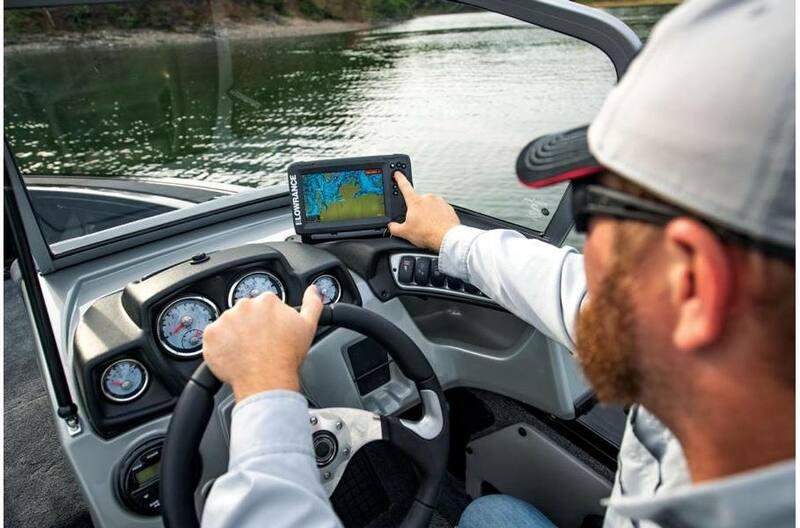 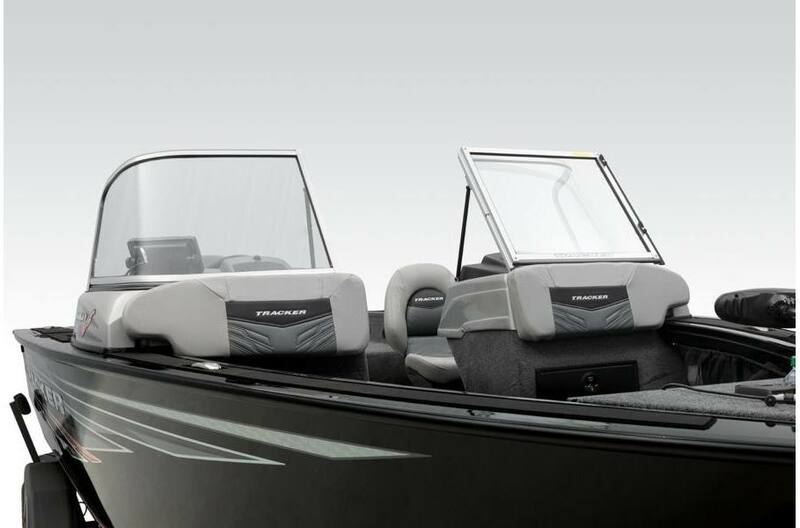 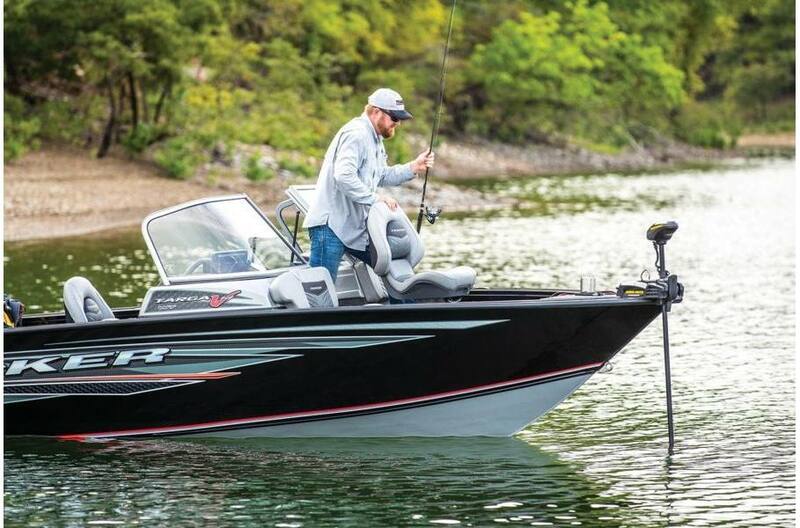 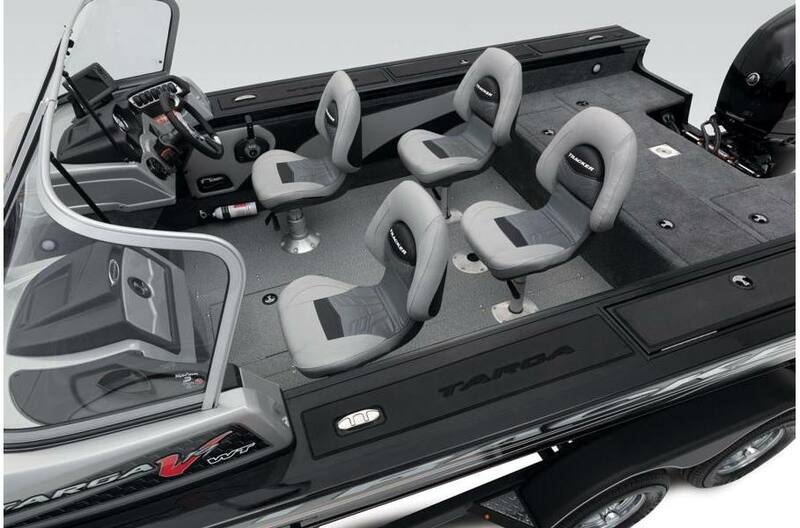 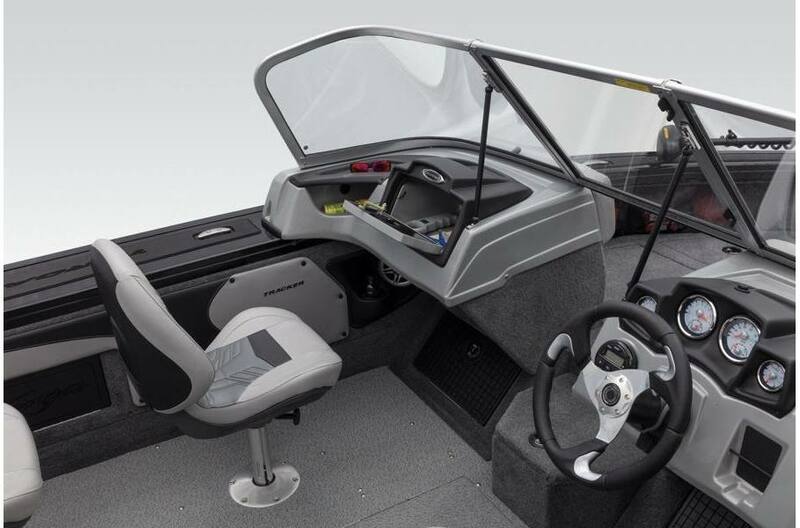 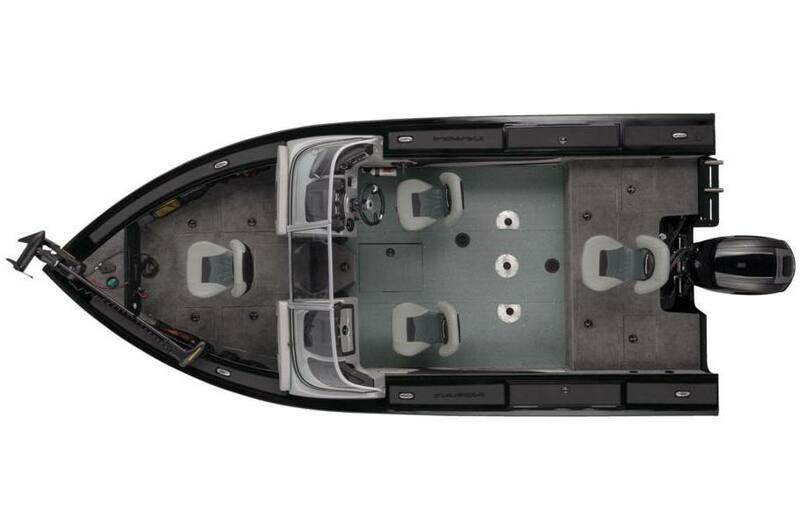 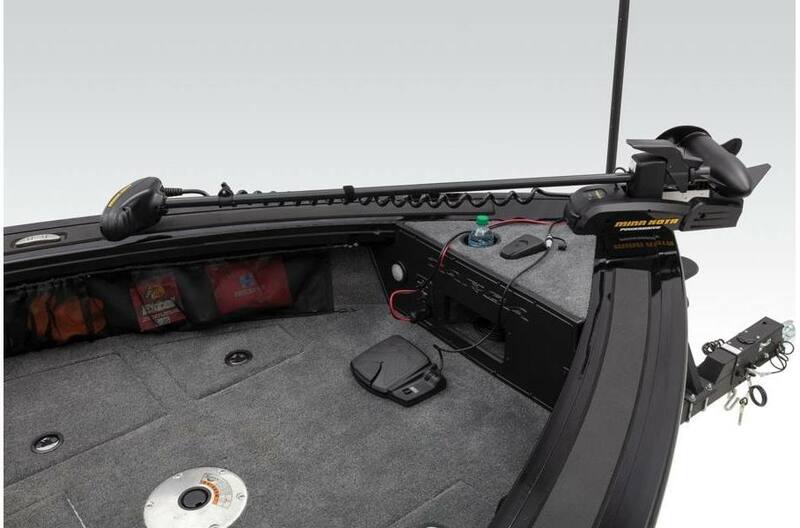 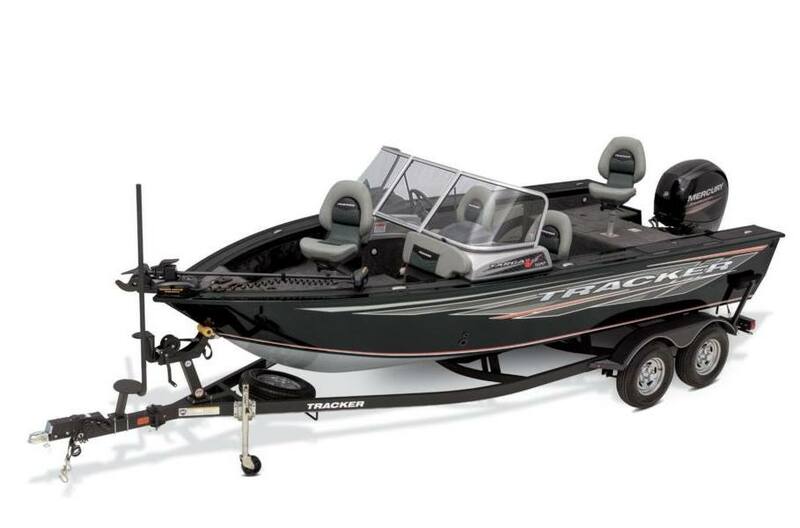 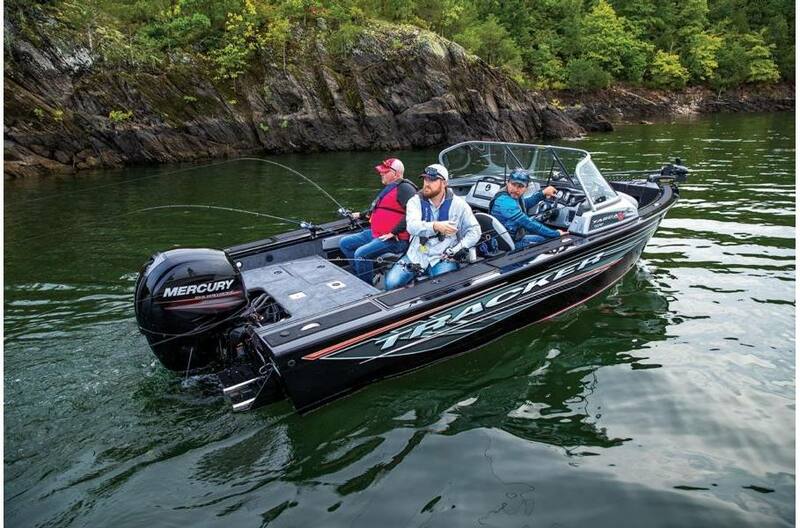 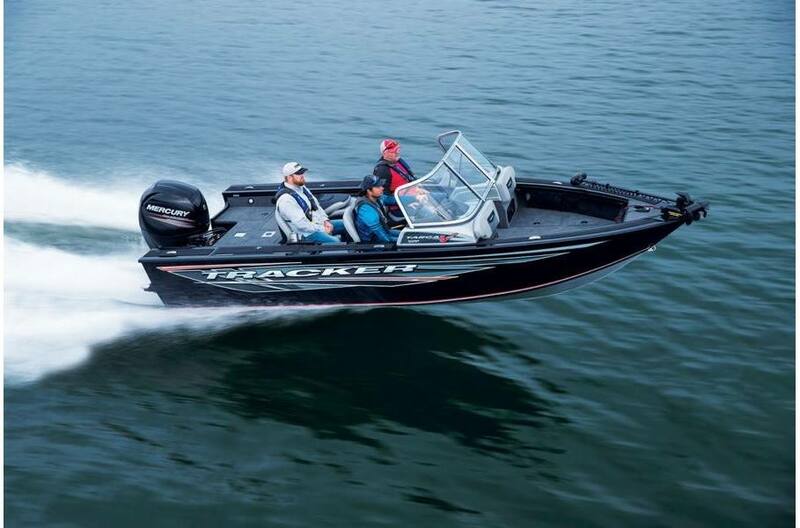 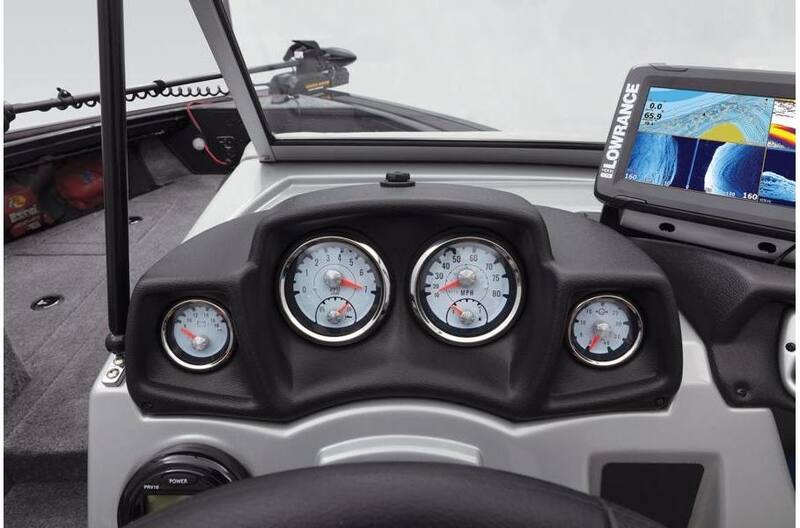 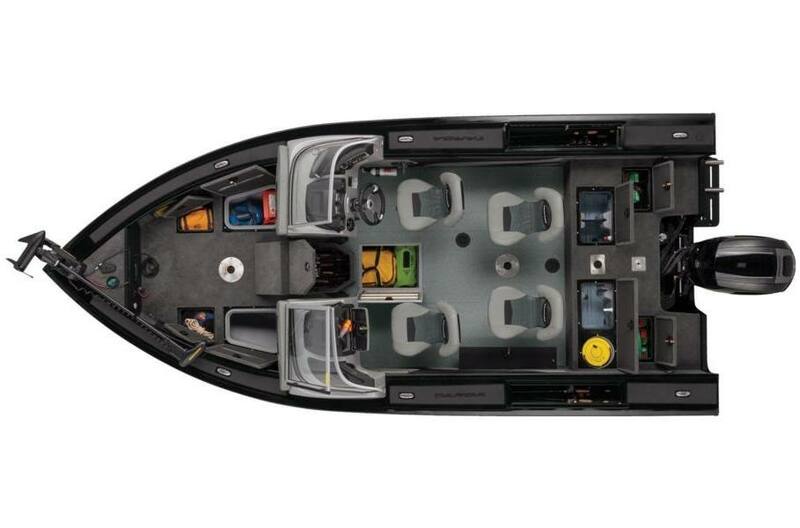 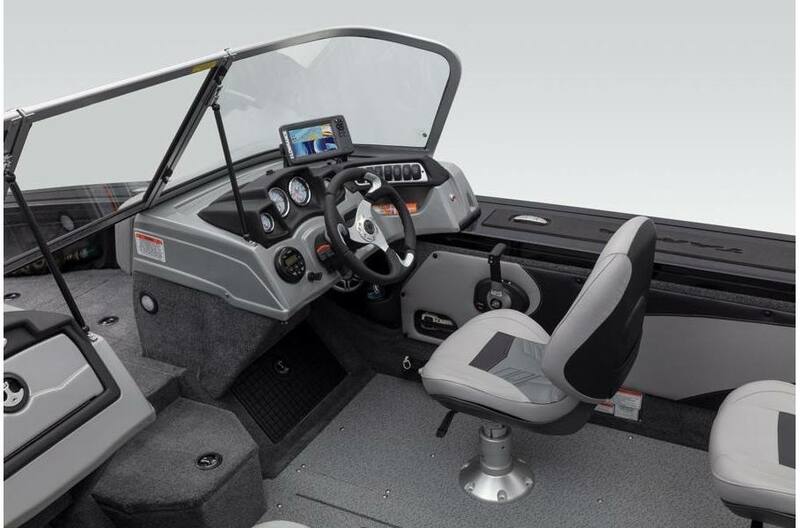 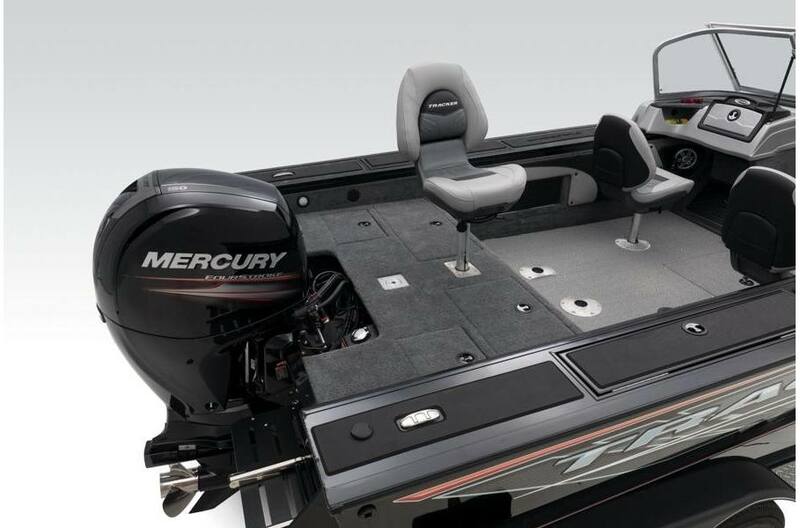 Rated for up to 225 horses, the Targa V-19 has the power to cut through the chop and get you to the fish and back whether you're fishing a major walleye event or chasing a mess of crappie on the weekend. 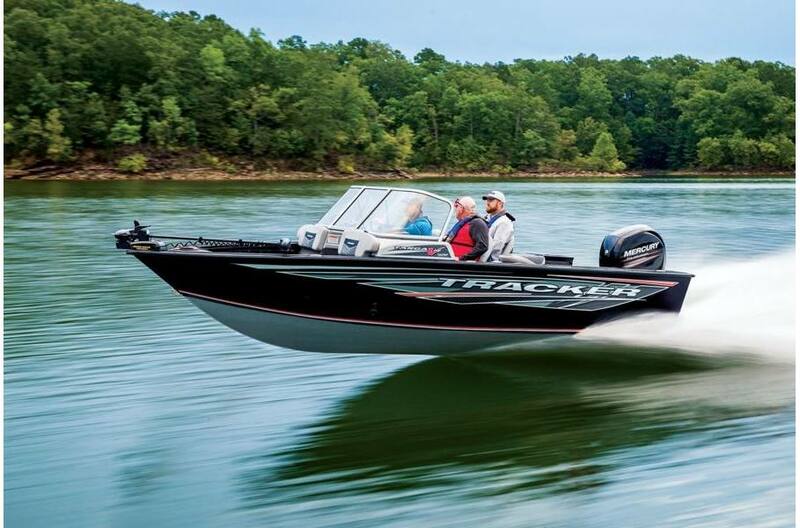 And it's backed by the TRACKER Promise—the best factory warranty in aluminum boats.